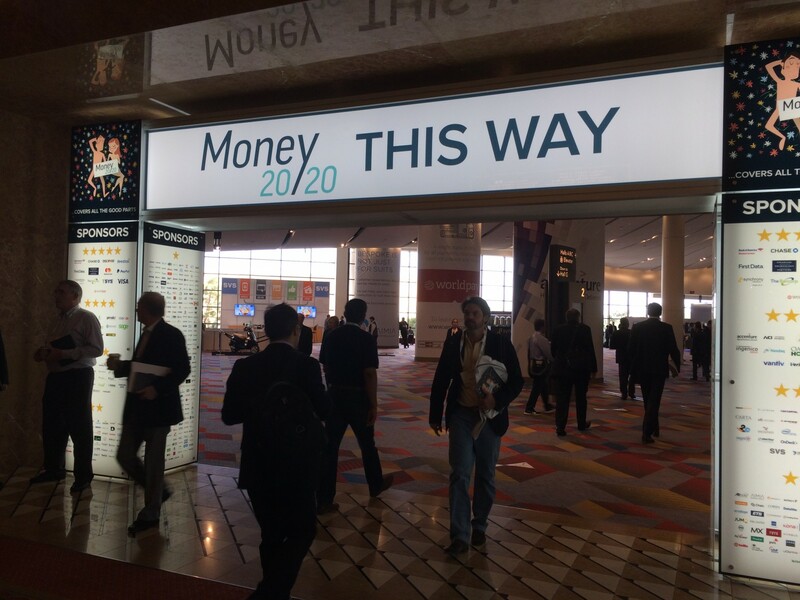 It may have been called (Bit)coinWorld, but the blockchain was the talk of Money20/20. For the second year in a row, the Las Vegas-based financial conference dedicated a track (dubbed (Bit)coinWorld) to the technology, however, 2015 was heavily focused on the blockchain, bitcoin’s distributed ledger, spurred by proof-of-concept debuts from news-grabbers such as Nasdaq and Visa. A topic of frequent discussion both in panel sessions and in private was this ongoing shift in the industry’s larger branding and positioning to the general public. Sides split between self-identified “true believers” who continue to espouse the long-term benefits of the bitcoin blockchain, the longest-running open and public version of a distributed ledger, even as pragmatic entrepreneurs garner attention for decentralized ledger projects that enable financial incumbents to create ledgers with restricted access. Of debate was whether the change was one of terminology, an interest in one word over another, or whether such a rebranding was a recasting of the larger political implications inherent in bitcoin’s technology, and if so, what would be lost should the differences between the bitcoin blockchain and decentralized ledgers be unsuccessfully articulated. Among representatives of the more tenured bitcoin startups, consensus emerged that conversation can be expected to turn back to bitcoin next year, as banks begin to “see the light” regarding the benefits of the bitcoin blockchain over alternatives. Elsewhere, Adam White, product manager at bitcoin services startup Coinbase, fought against the idea that proprietary decentralized ledgers were “some magic pill” for financial institutions, stressing that the term “blockchain” hides the fact bitcoin is the only decentralized ledger with traction and scale. 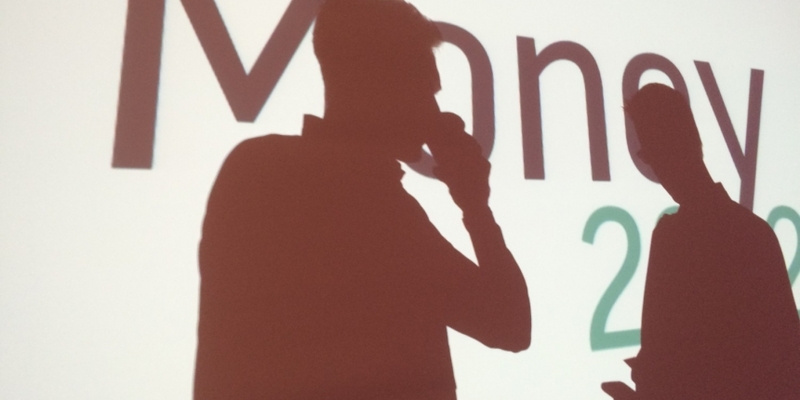 Regardless, the debate was perhaps rightly seized on by industry representatives due to the myriad of other issues facing development of the bitcoin blockchain, including an ongoing slump in merchant adoption, consecutive quarter-over-quarter drops in venture capital funding and the ongoing inability for the development community to reach consensus on how to resolve network scalability concerns, all of which were largely unaddressed. Notable at the conference was that support for the view that the bitcoin blockchain is potentially the most beneficial version of the technology among more educated representatives of the incumbent financial industry. “It’s interesting if you look at the blockchain, the biggest innovation is bitcoin,” Cassio Goldschmidt, principal information security leader at NCR Corporation, said. Goldschmidt evoked a common theme at the conference, that private or restricted-access versions of decentralized ledgers risked repeating the mistakes of AOL. This view was also put forth by Xapo chief strategy officer and former AOL business affairs manager Ted Rogers, who spoke to CoinDesk about his experience with the Internet giant. “[Consumers] thought AOL was the Internet, but it was just a walled garden built on an open platform, and what was happening while they were seemingly winning, was that people like Google and others were building services on top of this permissionless innovation structure that eventually destroyed AOL,” he recalled. Dave Birch, director of innovation at Consult Hyperion, suggested the debate was more than just a battle of words, telling CoinDesk he sympathized with the frustration of those in the industry, as words carry deeper implications. Others like Adam Vaziri, director of compliance consulting firm Diacle LTD, said he believes the focus on terminology risks limiting the diversity that could come about should alternative ledgers coexist with the main blockchain while expanding the technology’s reach. The view of the bitcoin industry companies on the issue was perhaps best on display during a roundtable featuring Digital Currency Group founder Barry Silbert and Blockchain CEO Peter Smith. Beginning with a high level discussion on the respective companies, the talk featured a number of references to the ongoing split in the industry regarding how the technology is positioned and how it is affecting business decisions. “Today we’re all building blockchain companies. You need to be aware of how to situate your business in the perception battle,” Smith told the crowd, noting that he feels this will be particularly important for companies looking to raise funds in the next six months. Smith believes the major financial institutions that are today interested in private blockchains, either based on bitcoin or another protocol, will eventually come to the “logical conclusion” that the bitcoin blockchain is a superior platform. “Every single industry that has been shaped by technology has been shaped by the movement to mass open platforms,” Smith said, sprinkling his talk with remarks about how the bitcoin blockchain is one of the only large-scale versions of a decentralized ledger. “It’s the difference between incremental change and fundamental change,” he continued. Silbert, however, was more pragmatic in his response to questions calling the development of alternative blockchains “not a bad thing” given that private systems are allowing mainstream financial institutions to feel more comfortable engaging in the industry. 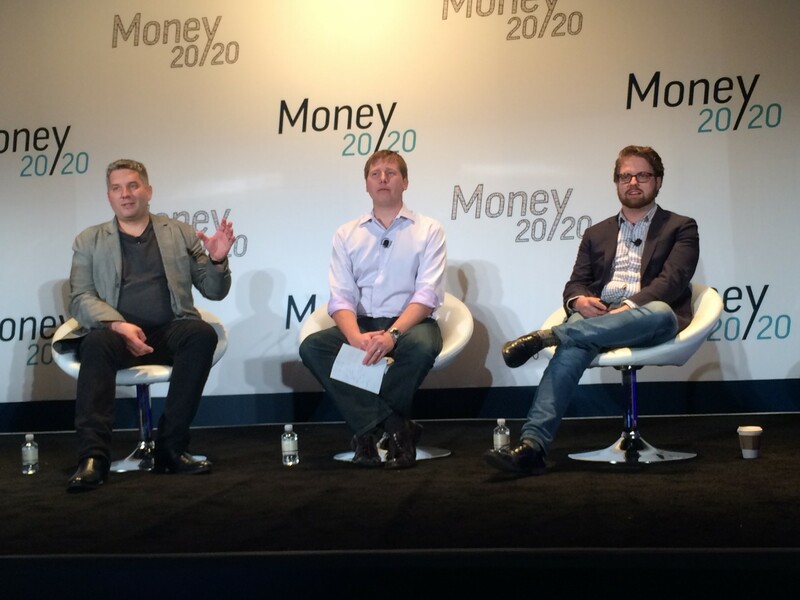 The split between the bitcoin blockchain and alternative distributed ledgers again reared its head during a panel discussion on how the industry will work with financial incumbents, with Bobby Lee, CEO of bitcoin exchange BTCC, and Todd McDonald, CEO of distributed ledger startup R3CEV, trading terse words. McDonald, whose startup is working with major banks to explore as-yet-unreleased distributed ledger concepts, took issue with the idea that all alternative ledgers are “centralized” or “private” as often categorized by more established bitcoin firms. “You need a open platform, but one of the things that’s untenable today is open access to validation. You can have permission without centralization,” McDonald said, adding his belief that financial institutions can’t rely on an open mining network such as the one used to incentivize the bitcoin blockchain due to regulatory concerns. The brief spat was mediated by Prasad Chintamaneni, president of banking and financial services, at IT and consulting firm Cognizant, who sought to delineate what he suggested was the inherent advantage of a global open ledger, like the bitcoin blockchain. “How many enterprises are leveraging public cloud? It’s about data privacy and security. A private cloud has [fewer] benefits, but it will be way more secure,” he said. 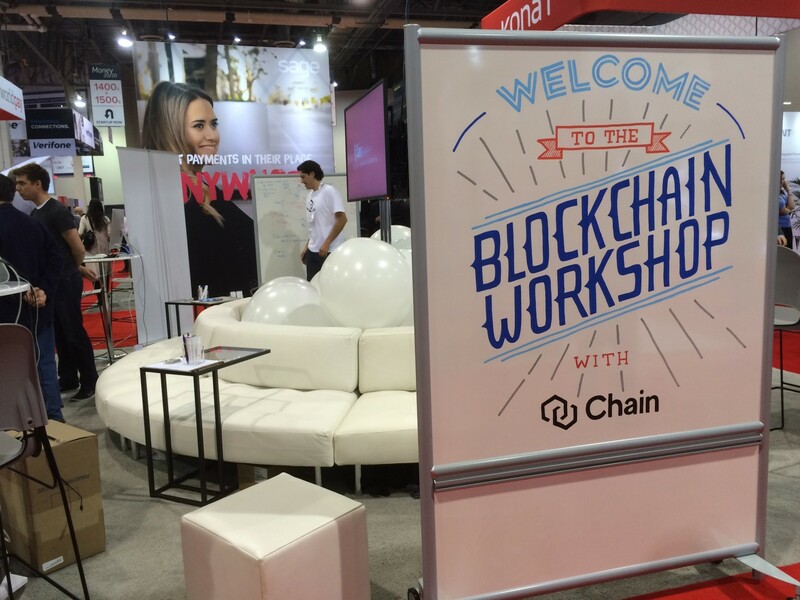 Of the industry companies assembled, none arrived in a bigger show of force than Chain, the startup that recently raised $30m from firms including Capital One, Nasdaq and Visa, and staged a Blockchain Workshop that showcased four proofs-of-concept built with brand-name partners. Cementing Chain’s position in the industry was CEO Adam Ludwin’s control of the conversation on a panel that included distributed ledger startup Ripple and its partners Royal Bank Canada and Toronto Dominion (TD) Bank. In his remarks, Ludwin touched on his company’s transition from one that attempted to build on the bitcoin blockchain to one that specializes in “blockchain infrastructure”. He described the latter term as pertaining to a “new type of database technology” for financial assets that, while being built for specific use cases on specific networks, would eventually become interoperable. Also discussed was the different tone around blockchain technology discussions when compared to those surrounding bitcoin, which moderator and CoinDesk CEO Jeremy Bonney characterized as a veritable love affair. In a more candid moment, the remarks ended in Royal Bank of Canada’s head of mobile innovation Eddy Ortiz openly embracing Ludwin onstage. Still, even major financial representatives, such as Nasdaq associate vice president Dominick Paniscotti, dismissed the bitcoin versus blockchain argument, given that the Internet is a sum of many technologies working in concert.